What is a Bachelor of Science in environmental engineering? This program is tailored to students who want to use engineering practices to support Earth’s ecosystems, which humans rely on for natural resources, sustenance and pleasure. Environmental engineers protect these ecosystems, infrastructures and the environment from human impacts and natural disasters. They also protect environmental and public health from natural and man-made threats such as chemicals and pathogens in drinking water. Students learn to design facilities that treat water so it’s safe to drink and design green infrastructures and responses to environmental disasters and contamination. They also learn how to prepare wastes, stormwater and wastewaters for safe discharge into the environment. Students in this program work on interdisciplinary teams to deliver real-world solutions that increase the sustainability and resilience of human societies. Why study environmental engineering at UNH? You’ll develop the skills and knowledge necessary to become a professional engineer with a productive career that contributes to sustainable societies. In this program, faculty know each student’s name, and they provide the tools to help every student succeed. Nearly half of our students secure paid research internships with faculty, and many others find well-paid summer internships with consulting engineering companies. In 2017, 90 percent of our graduates secured employment or were admitted to a graduate program. The UNH Environmental Engineering Program is accredited by the Engineering Accreditation Commission of ABET, http://www.abet.org, 415 North Charles Street, Baltimore, MD 21201 – telephone: (410) 347-7700. It is important that the engineering program from which you graduate is ABET-accredited because that is one of the requirements in the process of obtaining a Professional Engineering (PE) license. An ABET-accredited engineering program is defined by its educational objectives and outcomes and its curriculum. Program Educational Objectives describe the accomplishments a program's graduates are expected to attain within a few years of graduation. The educational objectives are unique to the program and determined by the faculty and stakeholders (e.g., employers of graduates). Student Outcomes describe what students are expected to know and be able to do by the time of graduation (e.g., skills, knowledge, behaviours. The Curriculum outlines the academic path that students in the program take to meet the outcomes by the time of graduation and ultimately, the objectives they accomplish after graduation. The Environmental Engineering (EnvE) Program in the Department of Civil and Environmental Engineering at the University of New Hampshire offers an undergraduate degree in environmental engineering that prepares students for productive careers in the public and private sectors and graduate studies. The Program emphasizes fundamental principles in environmental engineering and design, built upon a strong base of chemistry, physics, mathematics and engineering science. The Program prepares its students to work in multi-disciplinary teams that analyze, formulate and communicate sustainable solutions to complex environmental problems. The importance of developing sustainable solutions that provide economic, social and environmental benefits to society is emphasized. The Program instills in its students an appreciation of the responsibilities of engineers to society and teaches them the skills necessary to continue learning and improving their professional expertise throughout their careers. The curricula prepare students to plan and design safe systems to minimize the impact of human activity on the environment and protect human health. 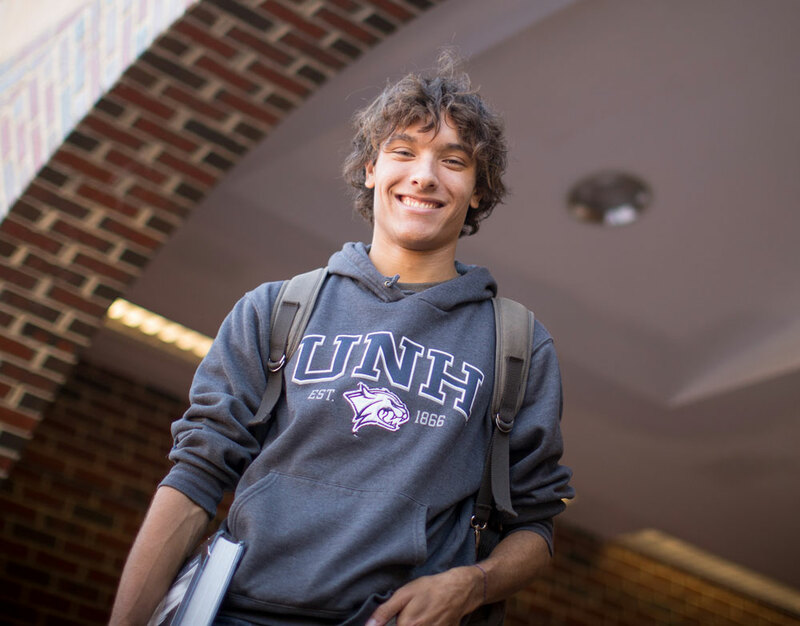 Students from Maine, Massachusetts and Rhode Island who matriculate in the UNH BSENE program are eligible for reduced tuition made available through the New England Regional Student Program (NERSP). I commit myself to be honest and to honor and respect the rights of others. I will not plagiarize, cheat on exams, assist others in doing so, or tolerate such behavior in others. I have received and read the ASCE Engineering Code of Ethics. I understand what is written therein, and pledge to uphold this Code of Ethics both as a student and as a practicing engineer. 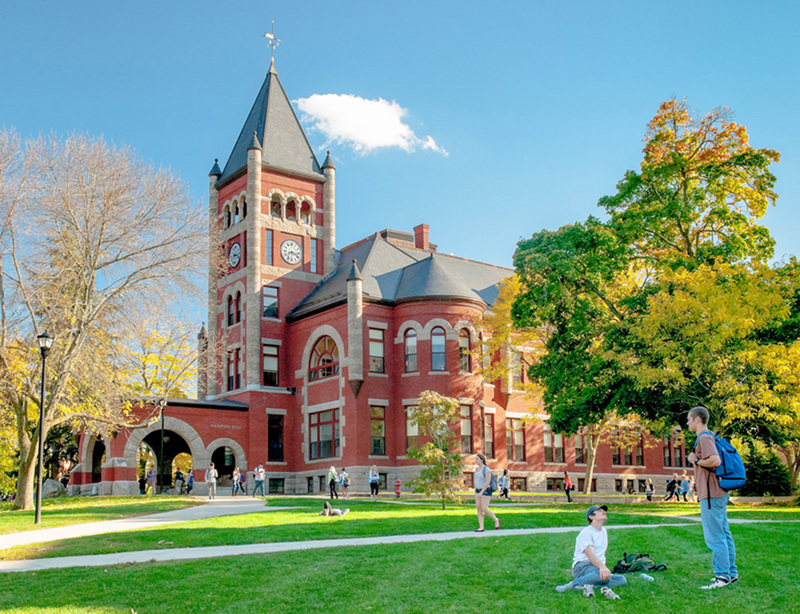 I have received and read Section 9 on Academic Honesty of the document Student Rights, Rules, and Responsibilities, of the University of New Hampshire and will pursue my academic work at UNH in a straightforward and truthful manner, free from deception or fraud. Furthermore, I understand the procedures for dealing with academic misconduct and understand the consequences including the possibility of outright dismissal from UNH.